- Four belt construction increases casing and tread stiffness, minimizing tire deformation for longer wear. - Giti specially-formulated tread compound gives you improved tread wear resistance and stability for driving comfort. 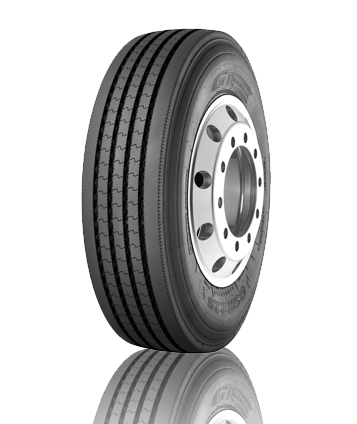 -Resilient four vertical groove and zig-zag bottom design provides better handling and vehicle control. - Multiple sipes along the side of groove improve wet traction, minimizes irregular wear and run cooler. - New, improved bead construction optimizes and uniformly distributes loadpressure to the bead, minimizing damage.